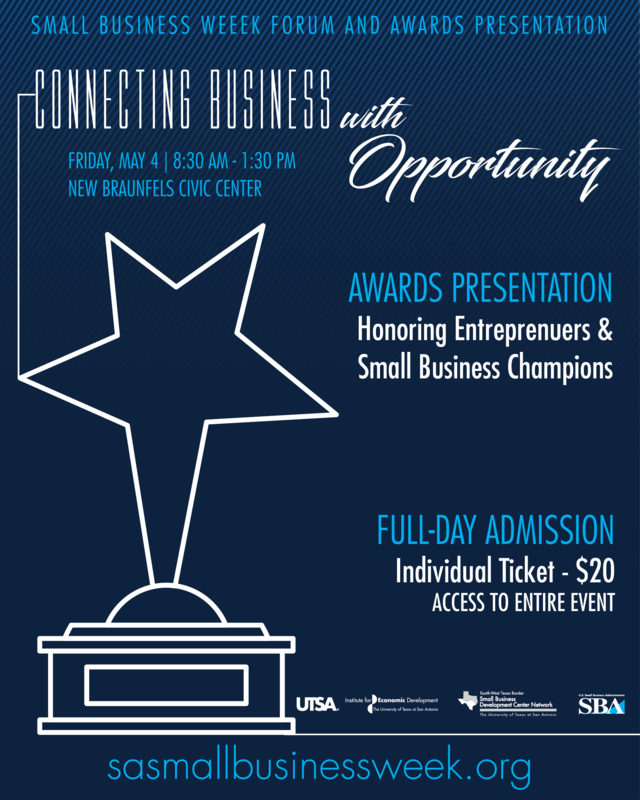 The U.S. Small Business Administration (SBA), San Antonio District Office and the UTSA South-West Texas Border Small Business Development Center Network will honor the district’s 2018 Small Business Week winners, including New Braunfels’ Small Business Person of the Year Natalie Rougeux, at a special awards ceremony in New Braunfels. 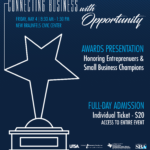 The Small Business Week Forum and Awards Presentation will take place on Friday, May 4 from 8:30 a.m. to 1:30 p.m. at the New Braunfels Civic Convention Center. 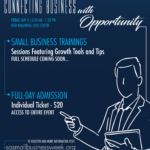 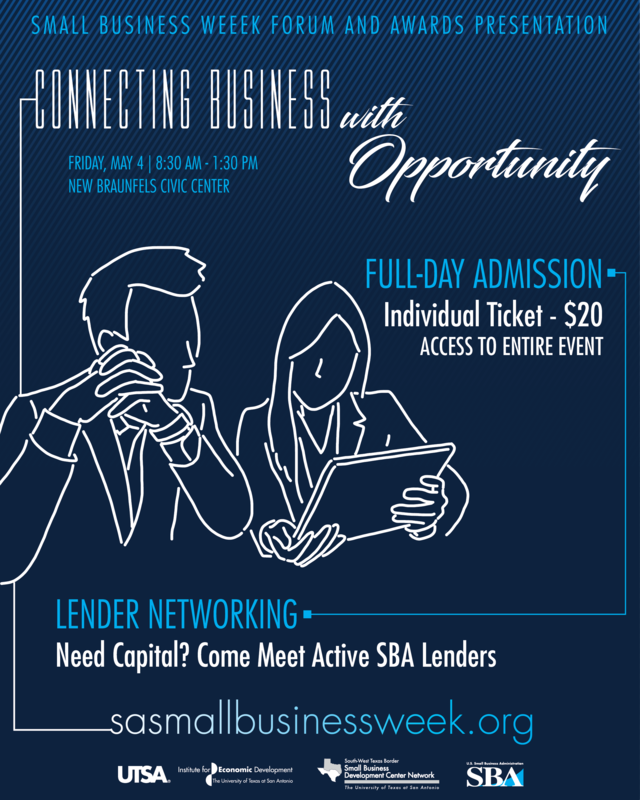 In addition to the Awards Presentation, the forum will also feature Small Business Trainings and Lender Networking. 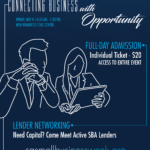 The trainings will include hot topic breakout sessions featuring growth tools and tips and the lender networking will give attendees the opportunity to meet active SBA lenders. 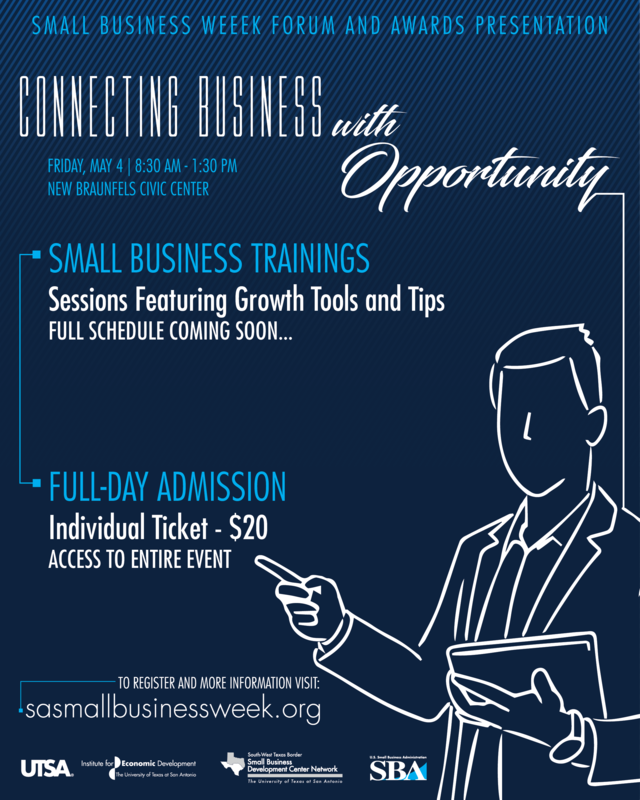 Tickets are available for only $20 and sponsorships opportunities are still available.